I have been on a roll this year with printing pictures. I want something to look at when I'm older and what if I forget how to work an iPad or the sites I use to back up my pictures aren't always there? I always felt like printing pictures was just something that I had to do even though I was terrible about getting around to it, but there are so many affordable options out there now. It's so easy and I can have my pictures created into beautiful art. With my sister-in-law getting married next month, I thought I would give her a memorable gift to decorate her home with her future spouse. Canvas Factory has so many different options to choose from so you can cherish your memories. 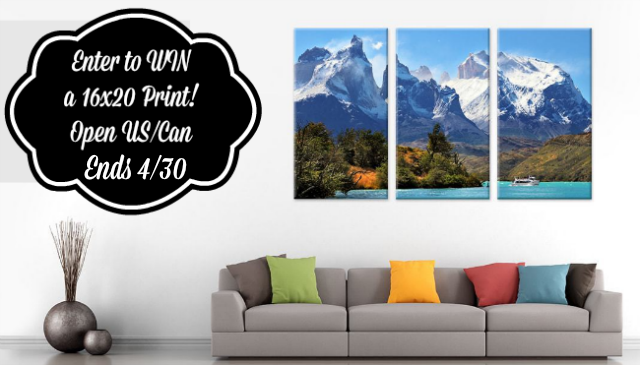 From Split Canvas Print, Canvas Collage, Acrylic Glass, or even Metal Prints, Canvas Factory has something for everyone. You can create memories for your to display or someone you love, you can even create beautiful art for each and every room of your house! Canvas Factory has some GREAT deals on canvases at unbeatable prices. The order process is so easy. You can add photos from DropBox, Facebook, Instagram, Flickr, or upload directly. This hop is hosted by Mama the Fox! 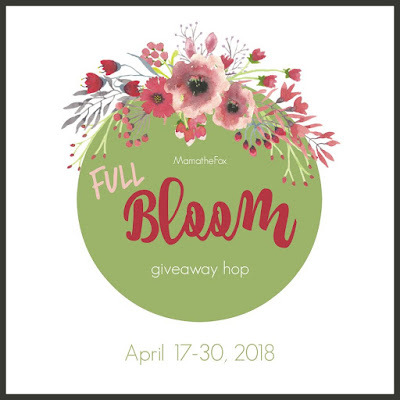 MamatheFox and all participating blogs are not held responsible for sponsors who fail to fulfill their prize obligations. I received complimentary products to provide this review and giveaway. Nanny to Mommy is not responsible for sponsors who do not fulfill prize obligations. This giveaway is open to US/Can only, must be 18+ to enter. Cannot be shipped to P.O. boxes. One entry per household/IP address. No social media was involved in this giveaway in any way. Winner is chosen via Random.org through Rafflecopter. ALL winning entries ARE verified. Winner will have 48 hours to respond with all information in email or another winner will be chosen. If you would like to see your product featured in our upcoming Baby Shower Gift Guide or sponsor a giveaway event, please contact us. My daughter would like a canvas of her and her little sister to put in her room. I want to put a photo of our little grandson on canvas. this would be for my living room, I have a nice photo that my daughter took I would love to put on canvas. If I was lucky enough to win I would gift to my mother for mothers day. She would be pleased and in awe! I would love to gift this to my mom to add a new piece of art to her new kitchen. My mom would love a canvas print of her grandchildren for Mother's Day. This would be for me to put in my new living room. I would get a picture of my kids together on this. A gift for my mom! I would love to win this for my daughter. She will be moving into her first home in May, and this would be so perfect for her family to have! I would love this 6 x20’’ / 40x50cm canvas from Canvas Factory for my own home. I would like a photo of my parents. This would be for me, to use a picture of my two cats. Thanks. This would be for my nephew. I would give it to him for his birthday. My husband, we like to put a picture of him on horseback on a canvas. I would use this for one of my landscape photos. This would be for me if I were lucky enough to win. I would definitely get a picture of all three of my littles and have it put on canvas. I love the way that pictures look on canvas, so pretty! This would be for me. My daughter got her senior pictures done and I would love to get one on canvas. She is a beautiful person, inside and out, and as she starts another part of her journey, I would love to have the reminder of this part. This would be for me. I would use a family photo. I would love this for my mom to give her a family picture she would love it.